Heart Notes of jasmine grand, perfumers heart accord, orange blossom and ylang ylang offer big hearted support to sensitive hearts …. Then finished with activated star and healing energies timelessly held with soothing moonstone crystal and platinum light. 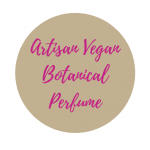 100% natural grain alcohol, pure essential oils, melissa leaf, grapefruit, jasmine grand abs, orange blossom, neroli, ylang ylang, cistus, vanilla, sandalwood, platinum ray activated moonstone. Takes us on a dreamer's journey, embracing passion in all things we do, maintaining a connection to source light and a pure heart. Pure and clear support to dream big and live large in the world with brave passion and sensitivity in you do.